1/35 German Panther Med Tank Model Kit Discounts Apply ! 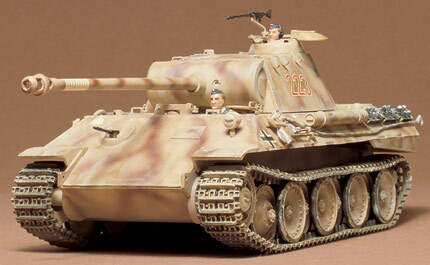 German Panther Med Tank 1/35 Scale Plastic Model Kit. Since 1943, during World War II, these appeared as unusually fast tanks on the European Front that silhoueted among its German Mechanized Division. This was the "Panther" medium tank, with its formidable power of attack and fast maneuverability, that soon became an object of terror to men of the Allied Forces.